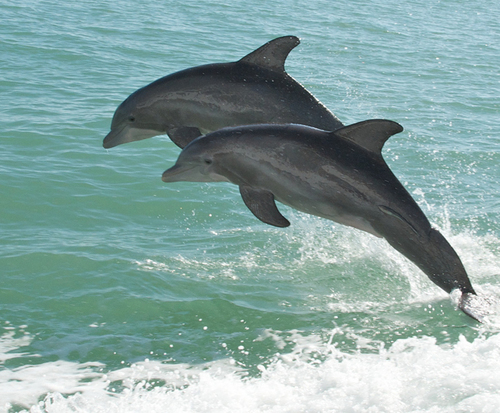 A great way to enjoy the Choctawhatchee Bay in the Destin area is to rent a pontoon boat for the day. There are several dealers around the harbor that will rent out a boat for the day. They will give you a little instruction if you need it, but pontoon boats are very easy to operate. Most of the time people take these out on their own, but there are private charters available where they include someone to drive the boat. Nearby Crab Island is also a popular destination with a pontoon boat, where you may look for seashells, watch birds and relax on the beach. You must be at least 18 and have a drivers license. There is often a damage deposit that is refundable that you must pay in addition to the rental. While you are getting that ready, the rental staff will load up your gear and supplies for you. When you return at the end of the day, they will also unload it for you. Bring your own food and drink, and any other supplies, for your own enjoyment. Spending the day out on the water with a pontoon boat is very easy and relaxing. It is a great way to relax. 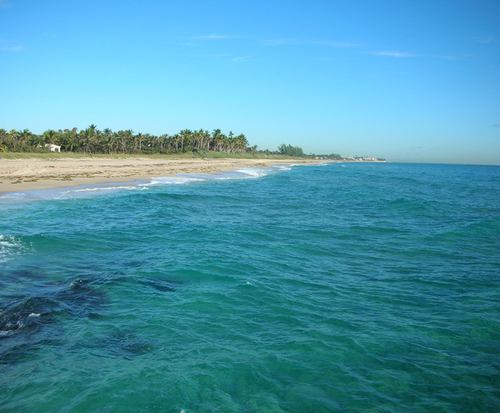 You may fish, watch for wildlife, stop and look for seashells, and even go snorkeling or swimming from the boat. 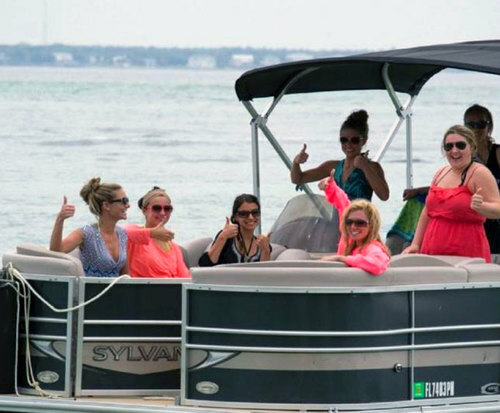 The most common pontoons are 22-24 feet long and seat 10-12 people. There is also storage room for your supplies, and some come with a small refrigerator. It is like having your own little condo out there on the water. If you stay away from the ocean itself, the water is very calm.